Your ideal home would fit your needs. You don't work, entertain, or live like everyone else. If you are going to build or remodel, why waste your time and money on a compromise? The ideal home should be designed for you. Your ideal home should be designed for your property. are all special to each lot. it will fit your property. your home to fit your property. Your home should be designed for your budget. How can a home be designed for your needs and your property without going over budget? 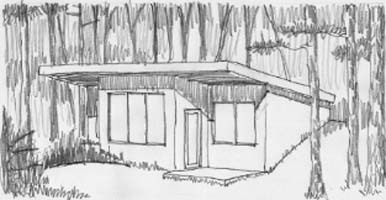 To help us control the budget, I provide rough cost estimates at each step of the design. 1. 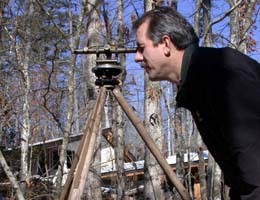 To reduce the cost of excavation and foundation work I design the home ot fit the slope. (This also provides a more stable foundation and better access). 2. 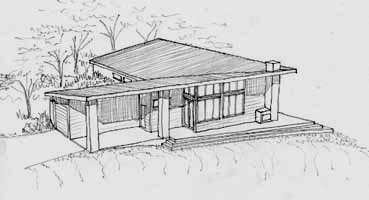 A simple, well designed structure costs less to build (and is stronger). 3. Good planning can reduce wasted space. 4. A higher quality insulation system can reduce maintenance and energy costs, while making the home more comfortable. 5. A well designed roof can reduce costs (and be attractive, simple to build, and easier to maintain). 6. A huge savings in energy costs can be made if the roof shades the glass from hot summer sun, while letting the winter sun warm the glass. (This is also makes the home more comfortable and reduces maintenance costs). 7. 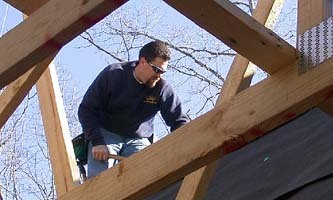 Money saved by building a smaller home can help you afford better quality. 8. A better designed heating and cooling system can reduce construction and energy costs and can keep your home more comfortable. 9. Many newer appliances and lighting systems use much less energy. 10. Better quality design, materials, and construction can reduce construction, energy, and maintenance costs. How can I help your project become your ideal home? fit your needs, your property, and your budget. Who can design a beautiful home for you? Of course your home should be much more than an investment. It should be much more than a house. That is why I continue studying principles that help me create designs that are beautiful, practical, and personal. even more importantly it should be designed for YOU, your plans and dreams, your needs, and your concerns. To design the best possible home for you, I need to get to know you. The more I know, the better I can design your ideal home. My name is Richard C. MacCrea. 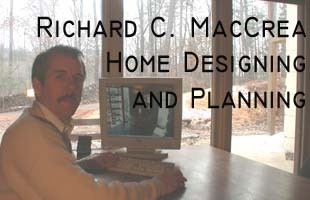 I have been designing and planning custom homes since 1987. You will find that I am a good listener. I want your home to improve your life. Visit my other pages to see examples of my work. the client's needs, property, and budget. better equipped for their needs as they age. my clients in a way that is fair to all. before you decide to hire me. In the early 1980's I managed the engineering, estimating, and research and development departments of a metal building company. Since then I have enjoyed designing and planning both new homes and remodeling projects. 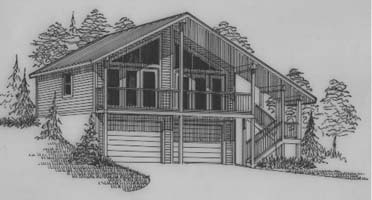 I have also completed many classes to help me design homes that are more energy efficient, healthy, strong, and durable. 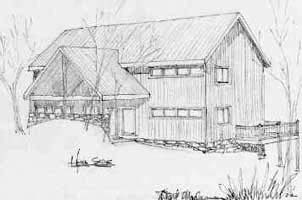 I am interested in passive solar homes, indoor air quality, and everything "green." I am also the organizer of The Mountain Home Show, a community trade show and web site that promotes the local construction industry. I teach seminars on energy efficiency.